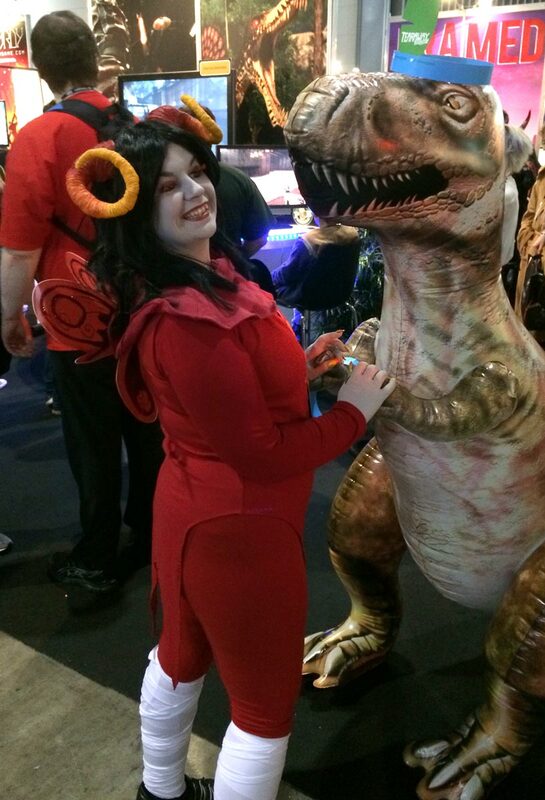 I make cosplay in my spare time! 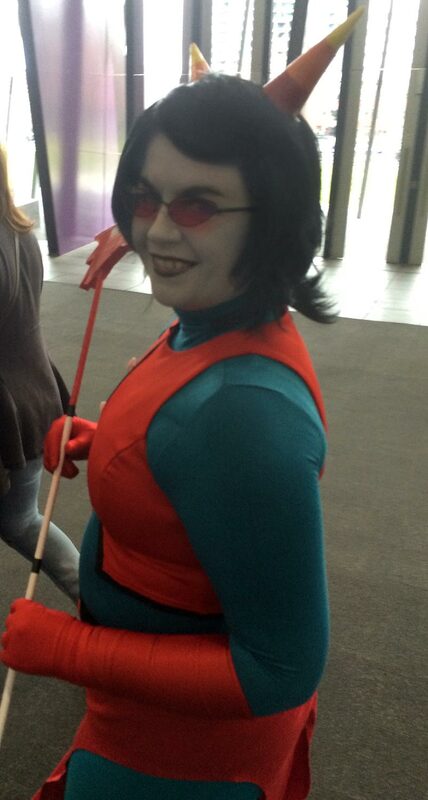 I’ve done lots of different cosplays, but here are some I’m proud of. 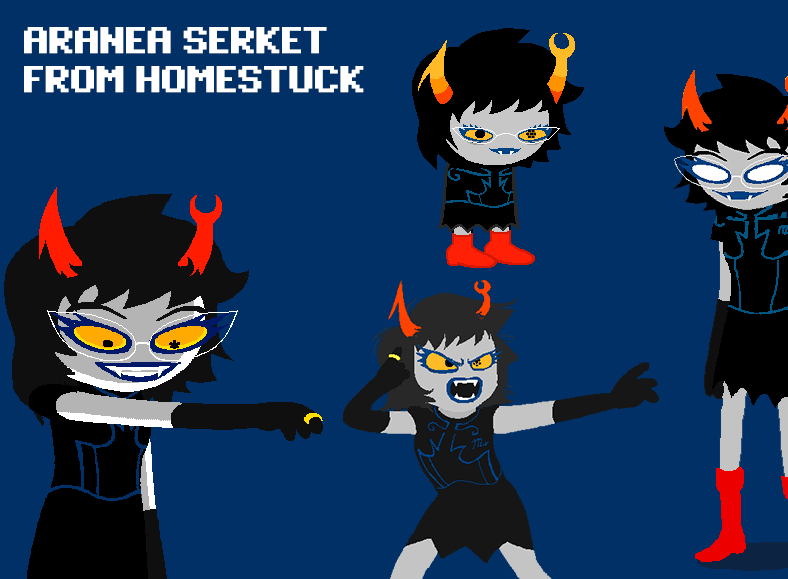 This one is Aranea Serket from Homestuck, a popular online webcomic that I read. 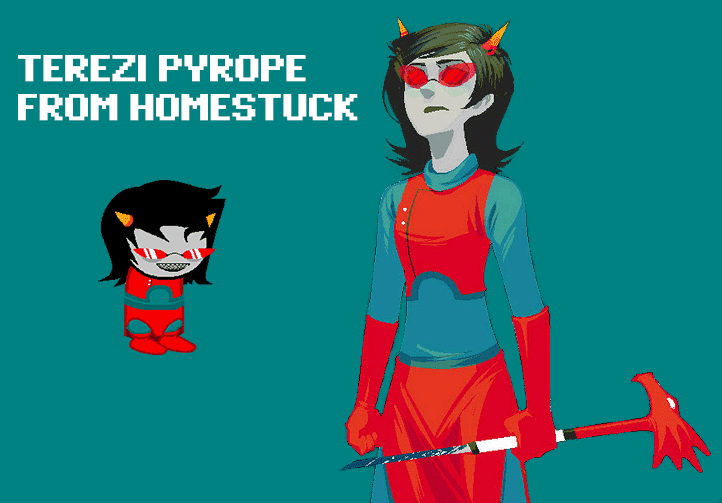 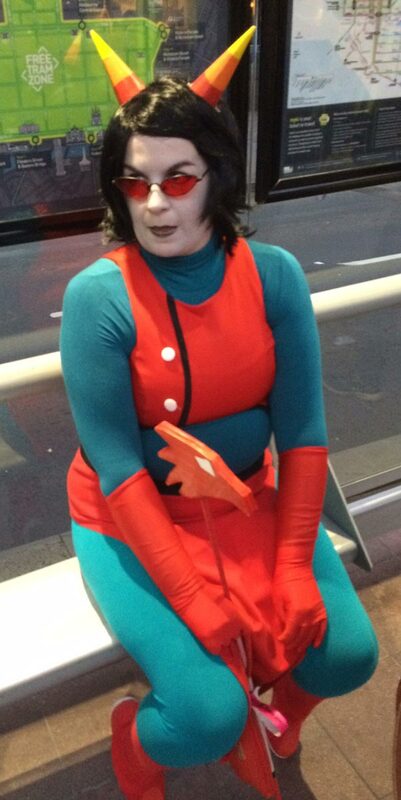 Another troll named Terezi Pyrope from Homestuck. 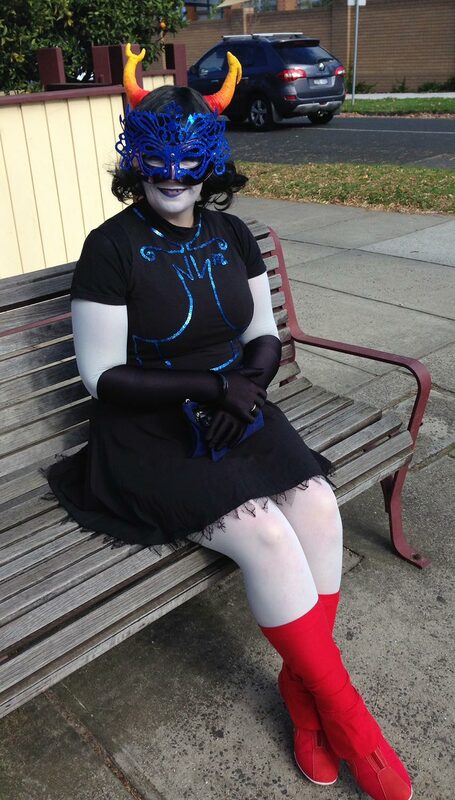 Once you’ve got the paint, you might as well keep going with the rest of the cast! 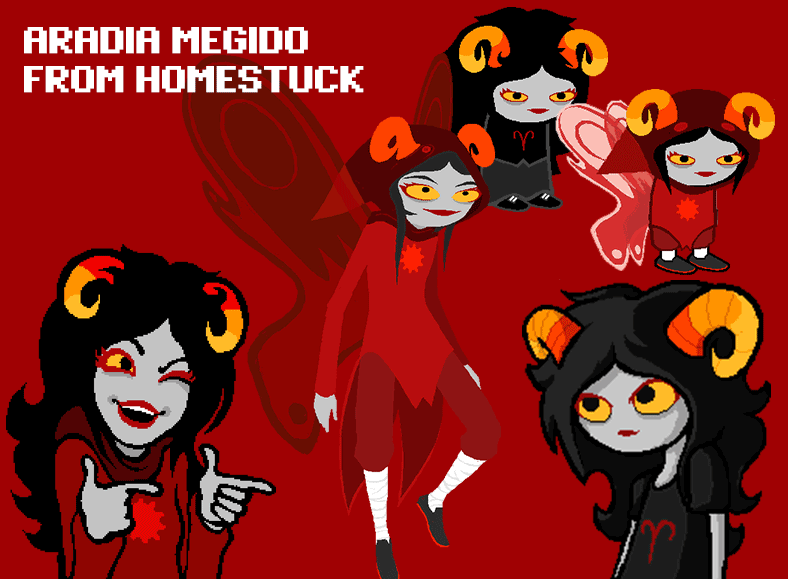 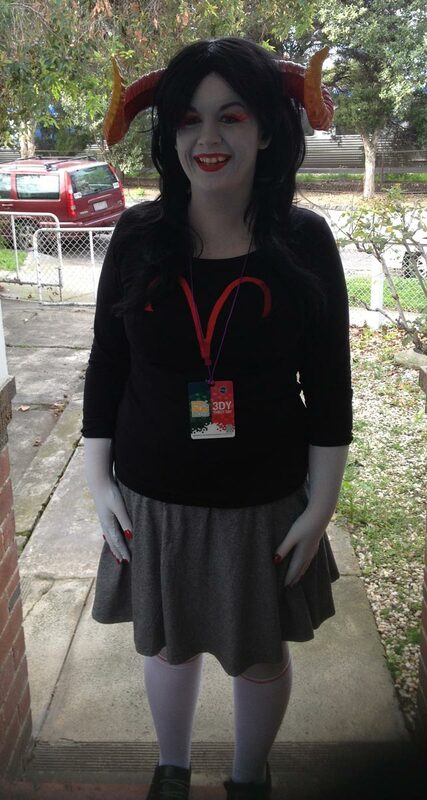 And yet another troll from Homestuck, Aradia Megido. 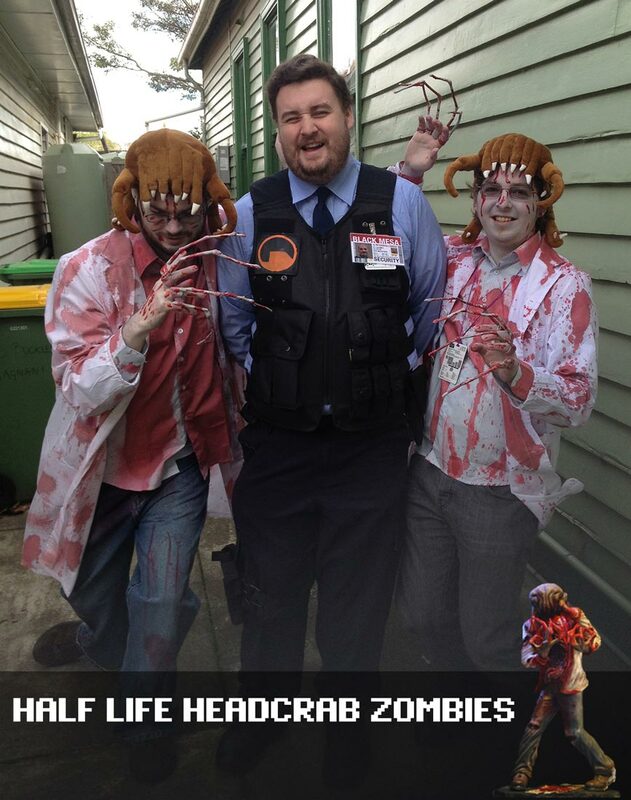 The one in the black and grey was one of the first cosplays I’d put together. 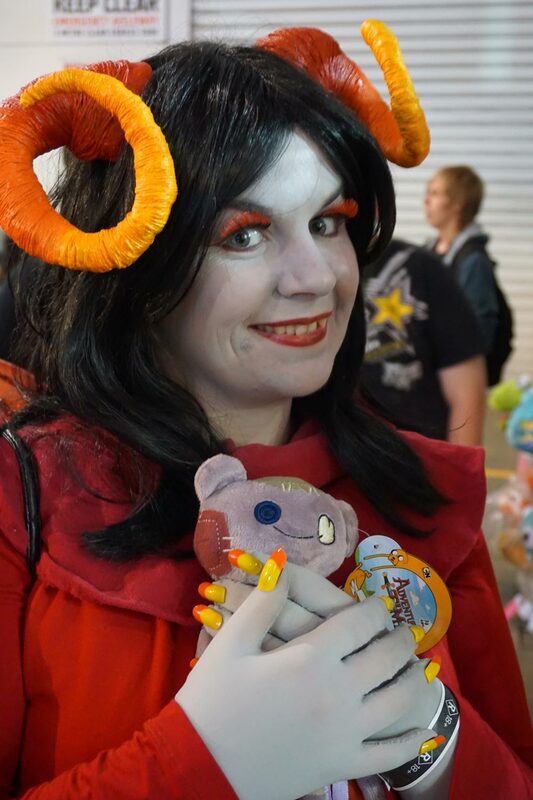 Years later I made my own horns and custom stitched the outfit from stuff I found at second hand shops. 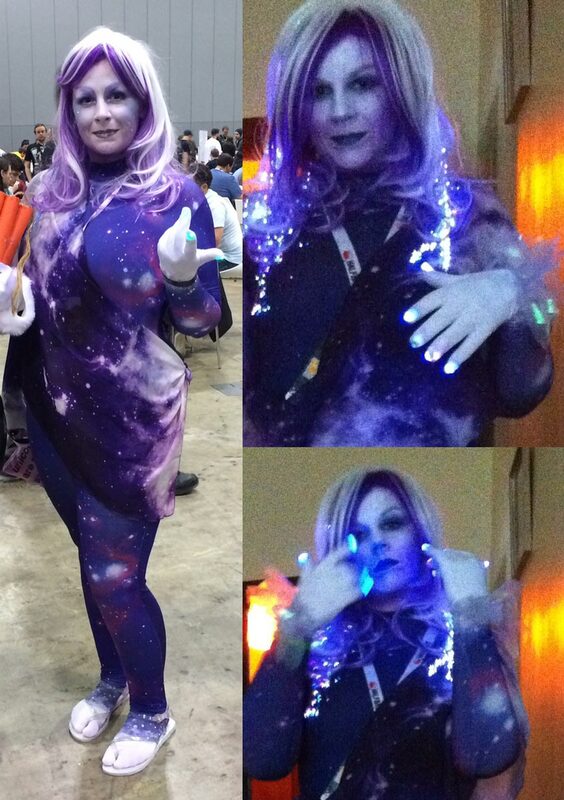 The Andromeda from Heroes of Newerth has to be one of my prouder cosplays. 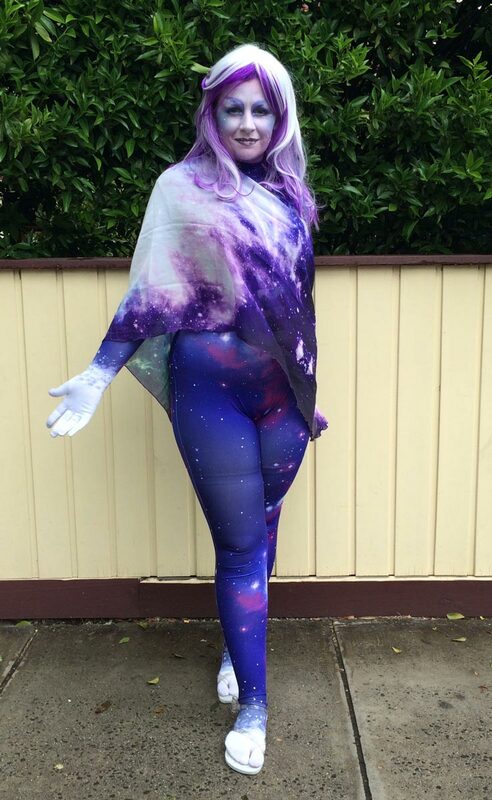 I couldn’t source a complete galaxy zentai from anywhere so I had my own printed from a design I made. 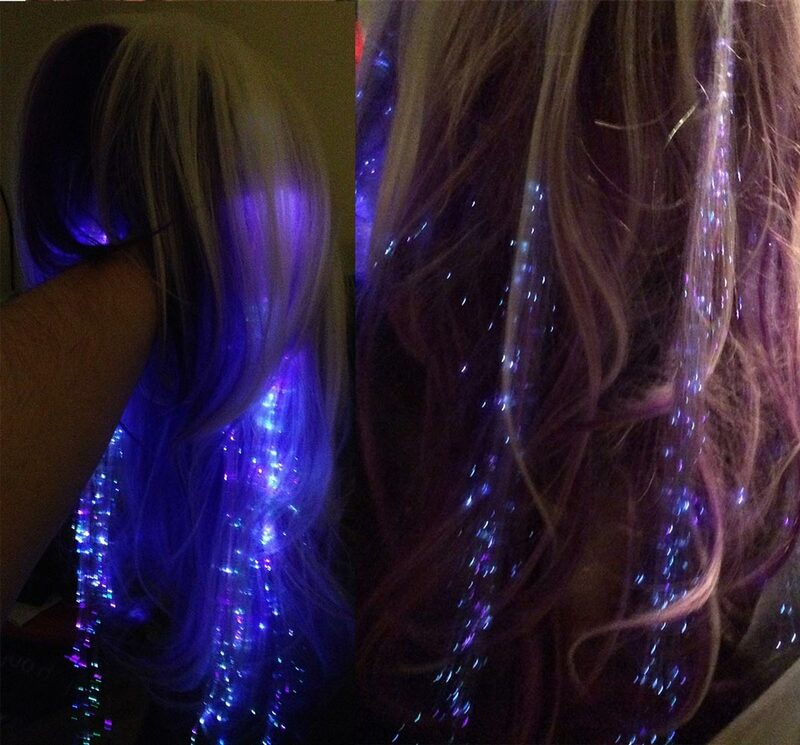 I also weaved LEDs to emulate the effects of the character. 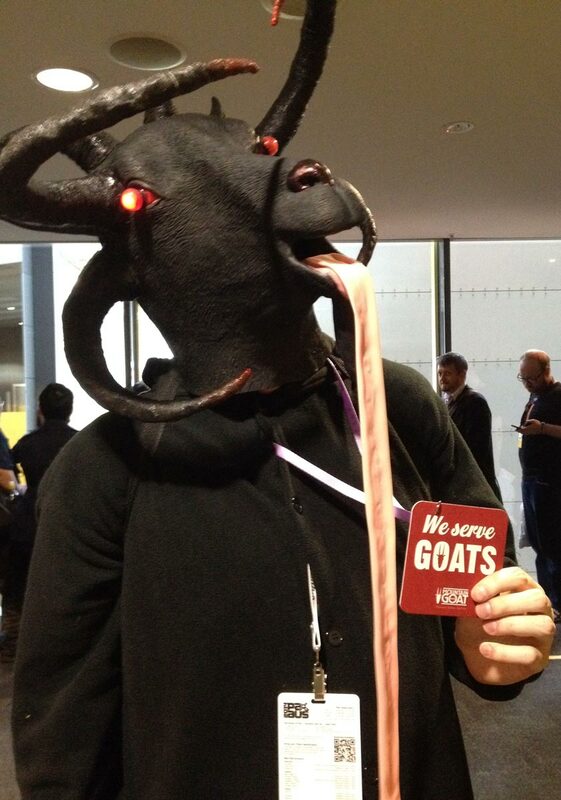 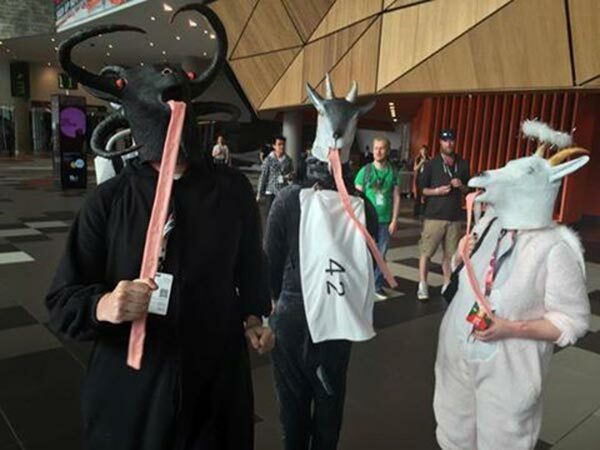 Goat Simulator was a group cosplay with me and my friends. 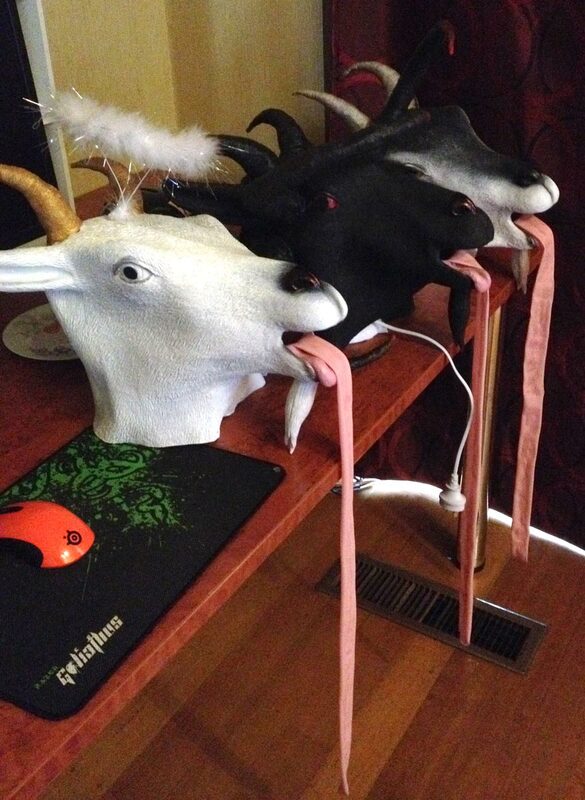 I custom painted the goat masks, made the horns, cut up yoga stretch bands to make the tongues out of it, modified the LEDs for the eyes, and customised the kigurumi pyjamas for each goat. 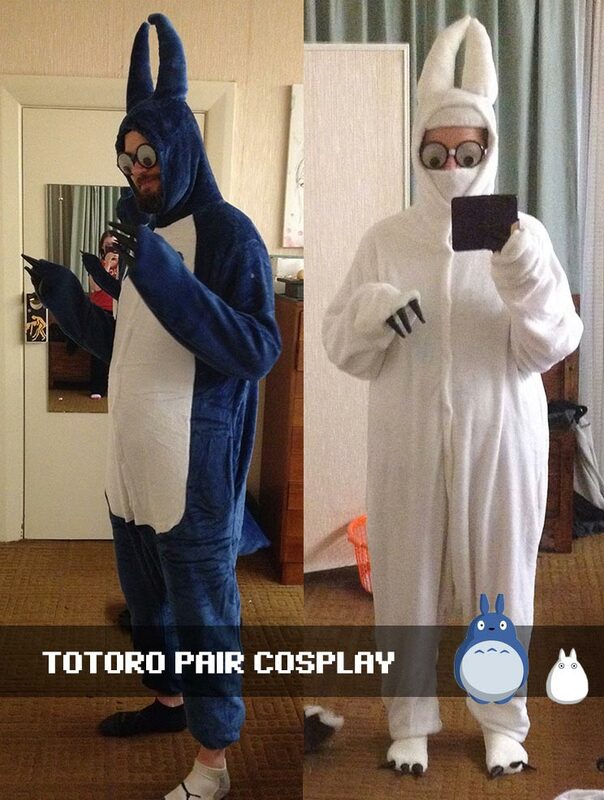 I’ve made some others too, like Adventure Time, Skyrim, Totoro, and Half Life. 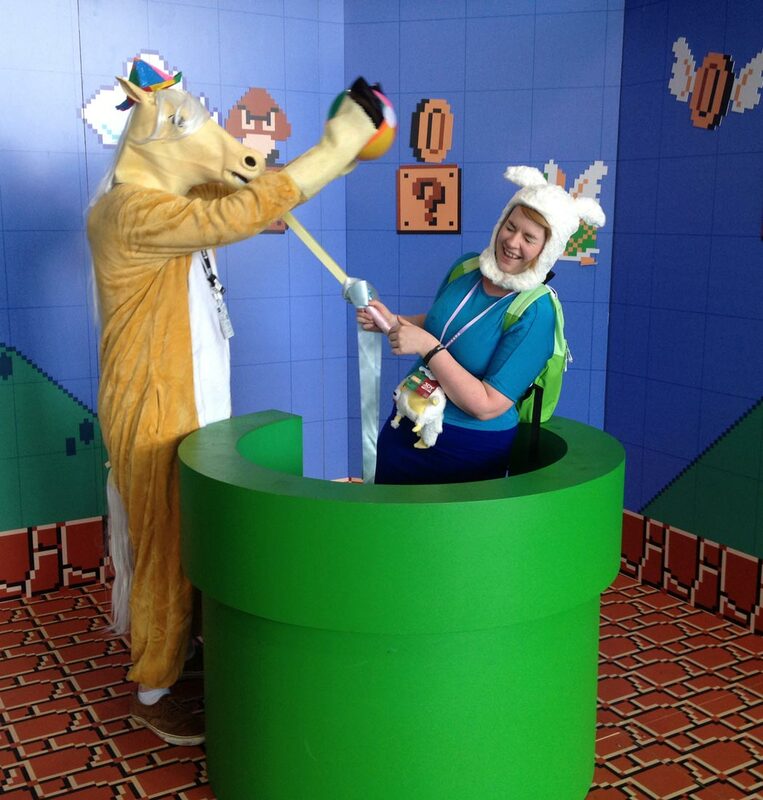 Given my craft skills my friends always ask me for help making their characters come to life but it’s a passion of mine so I am always willing to lend a hand. 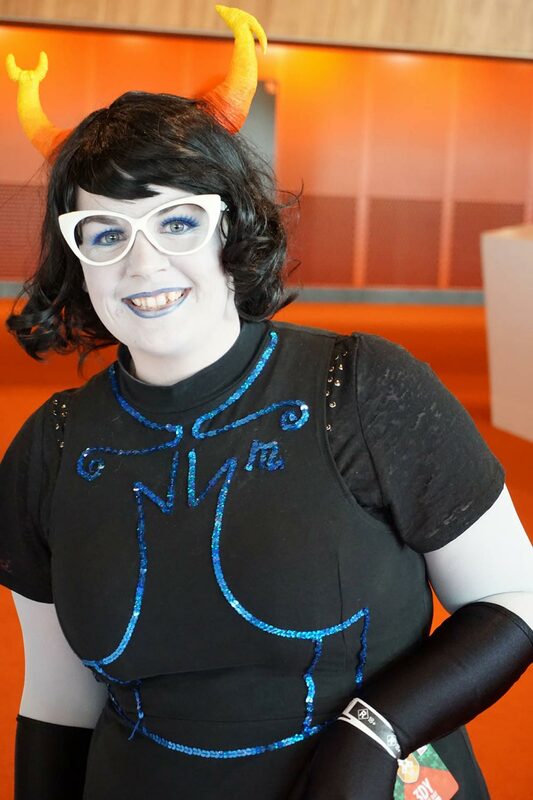 It takes hours of hard laborious work to hand modify clothing and create props but when the day comes it’s so much fun parading around as one of your favourite characters!